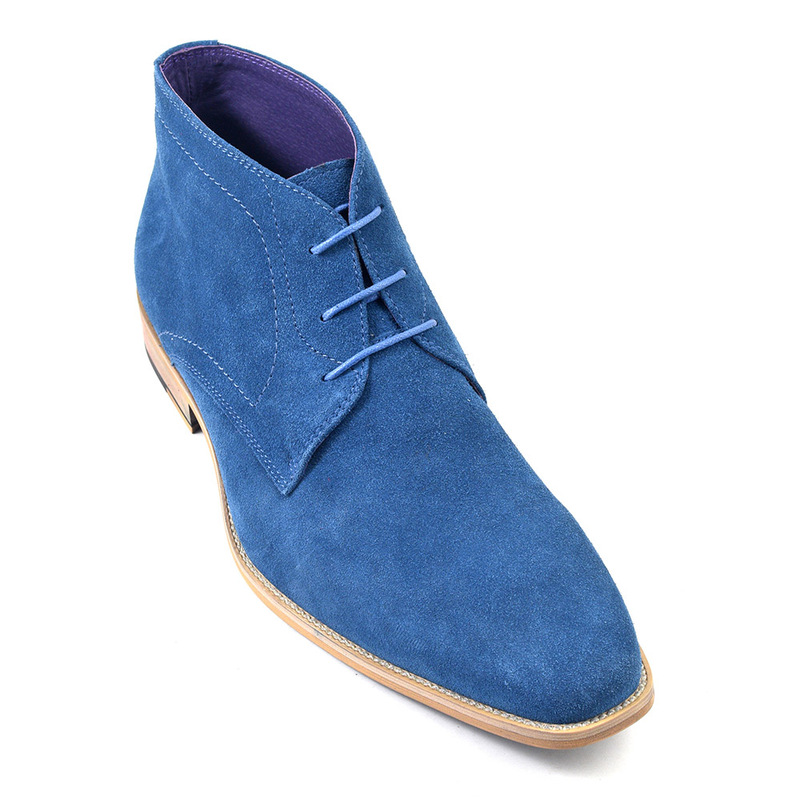 Add vibrancy to your collection with these blue suede lace-up boots. There is exposed stitch detail to the outer sole for an artisan feel. 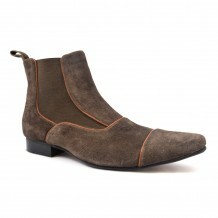 Be original in these Gucinari boots. 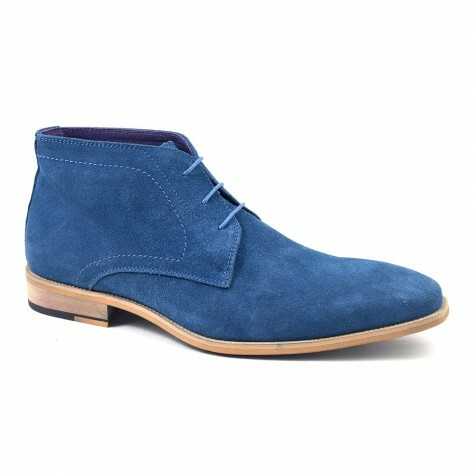 Spice up your life with these mens blue suede chukka boot. What a beautiful bright blue to be seen in! 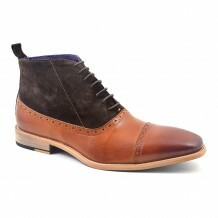 The verve this chukka boot possesses is hard to match. Speaking of which, the style “chukka” is linked to the game of Polo. There is an angle that this boot derives from the Jodhpur boot worn in matches but it is also the name of a period of play in the game. The word also comes from the hindi for circles (chukkar) and this is also used to mean to “go and have a stroll” which is apt. The comfort these suede chukkas grant meant that players often changed into them after a Polo game. This was all in the colonial era of the British Raj and the desert boot is a descendant of this too. That boot had a crepe sole and was sand coloured as it was light but durable enough to stand the conditions in the desert. 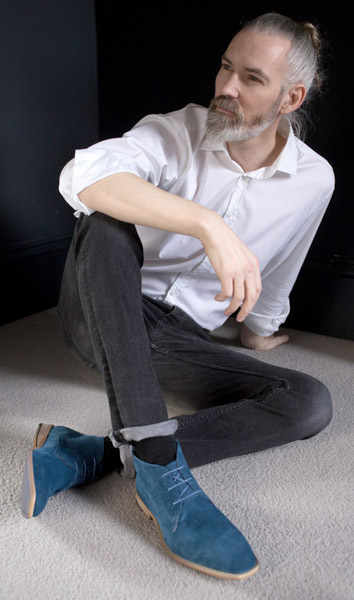 Now the main components of a chukka are present in this blue suede version: three eyelets, ankle high, thin heel, open lacing and made of suede leather. The fact it is a very vibrant blue means that you can express yourself with every stride. You can wear this chukka boot in a semi-casual way but there is a sophistication about it in that it has an elegant silhouette and a thin sole. 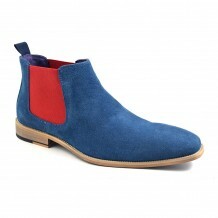 So experiment with colour and be an original man with this blue suede chukka boot. Top tip is to store it in a cool dry place. Look at this piece for more information from The Gentlemens Gazette. Be the first to review “Huba Blue Suede Chukka” Click here to cancel reply.